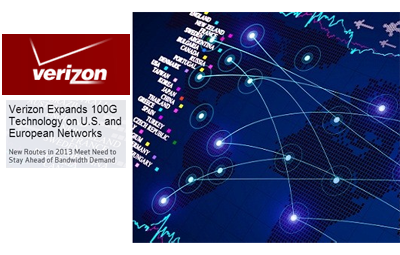 Verizon continues to expand the number of 100G routes in its ultra-long-haul network in the U.S. and Europe, adding 100G technology to more than 4,800 miles of its global IP network during the first half of 2013. The 100G expansion includes almost 4,500 miles on the Verizon U.S. network, bringing to approximately 21,400 the total number of 100G miles currently deployed on the network. Among the new 100G routes are Seattle to Salt Lake City, Indianapolis to St. Louis, St. Louis to Memphis, Charlotte to Nashville and Cleveland to Detroit. The company has a goal of deploying an additional 8,700 100G miles in the U.S. by the end of the year. In Europe, Verizon deployed 100G on an additional 350 miles between Brussels and Frankfurt, bringing to 5,100 the total number of 100G miles in Europe. The company plans to deploy an additional 1,400 miles by the end of this year. Verizon is using Juniper PTX packet transport routers and the Ciena 6500 Packet-Optical Platform. "Not only does Verizon have one of the largest global networks, we have one of the most robust and sophisticated networks with 100G technology deployed on multiple routes in the U.S. and Europe,” said Kyle Malady, senior vice president of global network operations and engineering. “As long as our bandwidth demand grows, we’ll continue deploying high bit-rate technology that underlies the superior experience that our business and consumer customers expect." Last month, Verizon completed a field trial of 200G technology on a network route between New York and Boston. The trial, which ran for more than a month on the live network, used the same hardware that currently supports Verizon's 100G ultra-long-haul traffic, along with pre-production software to configure a Ciena Wavelogic3 coherent optical processor. The trial used 16QAM (quadrature amplitude modulation) on a single wavelength with the typical 50GHz channel spacing to increase the amount of traffic carried. Verizon said the test proves the ability to double spectral efficiency while reducing the cost per bit when compared with 100G technology. AT&T announced an expanded set of managed security solutions (MSS) and new capabilities, including an all-in-one mobile security solution to be launched later this year. AT&T Business Solutions' cyber security offerings include network-based defense, cloud security, secure mobile business, and threat management. AT&T plans to launch a new cyber security solution that combines network and device-level security controls with highly-secure virtual private networking, application security and a full suite of mobile device management capabilities. The solution, expected later this year, provides businesses with comprehensive security for their mobile ecosystems, even if they're not AT&T wireless customers. AT&T has added Advanced Persistent Threat (APT) security assessments to its portfolio of consulting services to help organizations evaluate their ability to detect, resist, and respond to targeted cyber security threats. AT&T security consultants are certified in a variety of security competencies including: Security and Risk Management, Audit and Controls Review, Industry Regulations/Best Practices, Vendor Specific Certifications, and Security Investigations and Forensics. AT&T has doubled its network capacity to manage the growing volume of distributed denial of service (DDoS) attacks and recently added a DDoS protection option for customers deploying critical Web applications, including Content Delivery Networks (CDN). These enhancements provide customers with greater protection against DDoS attacks by dispersing and absorbing immense volumes of malicious traffic before they reach customer networks. "Security is at the very core of what we do as a company," said Daudelin. "From the security controls built right into the backbone of our network to our proprietary threat intelligence, we work to make security an enabler, not a limitation of business transformation. That's one reason why we have a 98 percent retention rate among our security clients." AT&T currently manages 24,000 security devices and one million seats for cloud-based security services. AT&T utilizes patented analytic capabilities to process 265 billion flow records and 6.5 trillion packets each day. AT&T also maintains a malicious entity database with more than 1.2 million threat signatures and tracks hundreds of millions of security events daily. 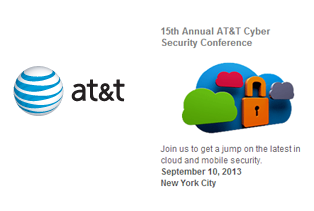 AT&T Labs was granted more than 100 patents in security and privacy issued in 2012 alone. Koch Industries agreed to acquire Molex, a supplier of electronic components, for $38.50 per share in cash, for a total equity value of approximately $7.2 billion. The price represents a a 42% premium to the equity value of Molex’s publicly-traded stock, specifically a 31% premium to the Common Stock and a 56% premium to the Class A Common Stock, based on the closing stock prices on September 6, 2013. The companies said the agreement has been approved by both the Molex and the Koch Industries boards of directors, and has received support from certain members of the Krehbiel Family and certain executive officers of Molex, owning in the aggregate voting stock representing approximately 32% of the Common Stock and 94% of the Class B Common Stock. Molex will continue as a standalone subsidiary of Koch Industries and will continue to be operated by the company’s current management team. Molex will retain the company name following the transaction as well as its headquarters in Lisle, Illinois. “After 75 years this was a difficult decision, but our board of directors and our family believe that this transaction, which follows a diligent and thorough review process by the board, provides outstanding benefits for all our stakeholders. Importantly, our shareholders will receive a significant premium and compelling value for their holdings. The transaction is expected to provide substantial opportunities for our worldwide employees, many of whom have spent much of their working lives at Molex and are responsible for the company’s long term success,” said Fred Krehbiel, co-chairman of the Molex board. 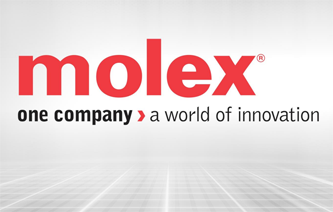 Among its many product lines, Molex is a leading supplier of advanced fiber optic components, with solutions including connectors and adapters, assemblies, backplanes, optical circuitry, termination kits and tooling. Orange is now offering 4G coverage for all of Paris and 37 other towns in the Paris area. By end September, Orange 4G will cover 70 “agglomerations” including over 500 towns in mainland France. Orange is speeding up the roll-out of its 4G network in order to meet the expectations of its customers and will cover 40% of the population by end 2013. The previous target was 30%. This roll-out complements the Orange H+ network, which already covers 70% of the French population. Orange already has 250,000 customers using Orange 4G. 55% of French people see Orange as the operator best placed to provide 4G service. (Source: TNS Survey carried out for Orange in August 2013 with 1007 respondents). 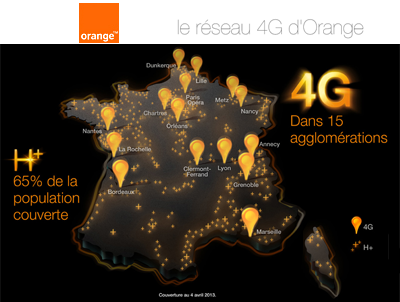 In April 2013, Orange extended its 4G network to 15 new markets across France, including 50 towns, as well as the 1st, 2nd, 8th and 9th districts of Paris. Orange is supporting top theoretical maximum speeds of up to 150 Mbps. Consumer plans for high-speed mobile broadband start from EUR30.90/month with its Origami Play 4G/H+ offer. Orange made its initial LTE commercial debut in Marseille in June 2012, followed by Lyon, Nantes and Lille in November 2012. TeliaSonera International Carrier's (TSIC) North America terrestrial network can double the capacity of a key link by implementing Infinera's super-channel implementation of Soft Decision Forward Error Correction (SD-FEC) on the Infinera DTN-X platform. Infinera completed a verification test on a production route between Houston and Phoenix in TSIC’s North America network. The company said the test verified the ability of Infinera's SD-FEC technology to double the available transmission capacity on this network link. Infinera also announced today that the SD-FEC capability is now generally available on the DTN-X platform. 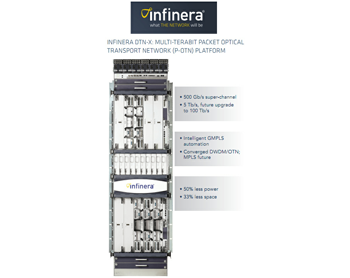 Infinera’s DTN-X platform delivers the industry’s only long haul FlexCoherent 500 Gbps super-channels based 500 Gbps Photonic Integrated Circuits (PICs) and the FlexCoherent Processor. Infinera has deployed DTN-X networks in 30 countries with hundreds of super-channels activated into production. The DTN-X now offers SD-FEC, which is integrated into Infinera's third generation FlexCoherent Processor chip and combined with a world-record Polarization Mode Dispersion (PMD) compensation capability that is specifically engineered to optimize capacity and reach. 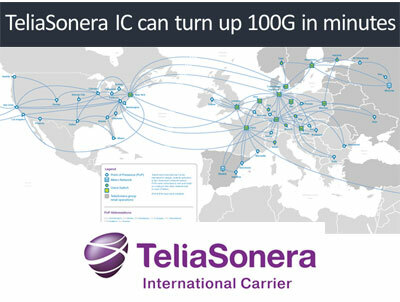 In June 2013, TeliaSonera International Carrier, which has previously deployed Infinera's DTN-X platform across its North American network, confirmed deployment of Infinera equipment in its European network. The first route is Stockholm-to-Hamburg, one of the busiest on its European network. CrowdStrike, a start-up based in Irvine, California, has raised $30 million in Series B financing for it ssecurity technologies and services focused on identifying advanced threats and targeted attacks. CrowdStrike's cloud-based next-generation threat protection platform leverages execution profiling and predictive security analytics. The company said the fusion of big data and security intelligence allows companies to not only proactively respond to advanced threats, but also to hunt, query, and gain insight into all activity across the enterprise. CrowdStrike's Global Intelligence Team currently tracks 40+ actors around the world, including state-sponsored adversaries originating from China, Russia, Iran, North Korea, Pakistan, and India; and infuses this intelligence in its technology solutions. The company recently introduced the CrowdStrike Falcon Platform which enables enterprises to identify unknown malware, detect zero-day threats, pinpoint advanced adversaries and attribution, and prevent damage from targeted attacks in real-time. The core of the Falcon Platform is a global network of host-based detection sensors driven by world-class cyber threat intelligence to provide rapid/instantaneous detection and prevention capabilities to enterprises and governments worldwide. The new funding was led by Accel Partners and included founding investor Warburg Pincus. CrowdStrike was co-founded in 2011 by George Kurtz, former founder and CEO of Foundstone and Worldwide CTO and GM at McAfee / Intel, Dmitri Alperovitch, former VP Threat Research at McAfee / Intel, and Gregg Marston, former CFO at Networks in Motion. Gerhard Watzinger, CEO of iGATE and former EVP of Corporate Strategy at McAfee, is Chairman of the Board. The Wi-Fi Alliance introduced a new logo as the certification brand for products approved in its forthcoming interoperability program. WiGig CERTIFIED products will operate in the 60 GHz frequency band and deliver multi-gigabit speed, low latency traffic, and security-protected connectivity between nearby devices. Many WiGig CERTIFIED products are expected to be Wi-Fi CERTIFIED as well, and products implementing both WiGig and Wi-Fi® will include mechanisms to facilitate seamless handover between the two technologies. "We are excited to expand the Wi-Fi Alliance interoperability program to include WiGig CERTIFIED products, which will deliver the same security and interoperability that consumers have come to expect with Wi-Fi," said Edgar Figueroa, Wi-Fi Alliance president and CEO. "WiGig CERTIFIED will be an excellent complement to Wi-Fi CERTIFIED, advancing our vision of seamless connectivity and extending the user experience to new applications." Cortina Systems announced the availability of the industry’s first dual 15G Electronic Dispersion Compensation (EDC) PHY for low port count applications transitioning from 1 to 10 and 15G. Cortina said its CS4227 Dual 15G EDC PHY device and its companion chip, the CS4223 Quad 15G EDC PHY, will drive dramatically lower power and support higher bandwidth for the expanding lower port count application market, such as uplinks and NIC cards. The CS4223 Quad EDC PHY functionality supports four full duplex 10G links, or one full duplex 40G link. The device-wide operating frequency range covers 1 GbE, 10 GbE, 1G FC, 2G FC, 4G FC, 8G, 16G FC, Infiniband SDR, DDR, QDR and FDR, and CPRI Options 1 to 7. EDC capability allows the device to operate with linear SFP+/QSFP optical modules to Direct Attach Copper, 10GBase-ZR, and DWDM SMF applications. The device is fully compliant to 10G SFP+, 802.3ba 40G and 100G nPPI, and nAUI specifications. The fully autonomous device does not require external processors to control the convergence or dynamic adaption of the dispersion compensation. The CS422x Dual and Quad EDC PHY also integrates the auto-negotiation and coefficient training functionality for 10G KR, 40G KR4, 40G CR4, and 16G Fibre channel, for seamless interoperability with existing equipment. Palo Alto Networks reported revenue of $112.4 million for the fourth quarter of its fiscal year 2013, up 49% compared with $75.6 million in the fiscal fourth quarter of 2012. GAAP net loss for the fiscal fourth quarter was $15.8 million, or $0.22 per diluted share, compared with a net loss of $4.6 million, or $0.18 per diluted share, in the fiscal fourth quarter of 2012. "Demand was strong in the fourth quarter across all theaters and verticals resulting in 11 percent sequential revenue growth and 49 percent year-over-year growth," said Mark McLaughlin, president and chief executive officer of Palo Alto Networks. "In fiscal 2013, we grew revenue by 55 percent and added over 4,800 customers as Palo Alto Networks continues to significantly outpace the competition and cement its position as the global leader in next generation security." 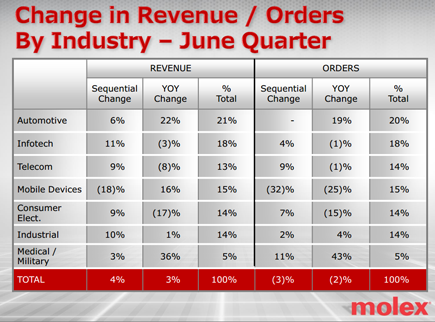 For fiscal year 2013, total revenue grew 55 percent to $396.1 million, compared with $255.1 million in fiscal 2012. GAAP net loss was $29.2 million, or $0.43 per diluted share, in fiscal 2013, compared with net income of $0.7 million, or $0.00 per diluted share, in fiscal 2012. Non-GAAP net income for fiscal 2013 was $16.0 million, or $0.21 per diluted share, compared with non-GAAP net income of $14.7 million, or $0.14 per diluted share, in fiscal 2012. Non-GAAP results for fiscal year 2013 include $3.6 million of expenses related to IP litigation, which on a tax effected basis was $0.03 per diluted share.